Every year on Christmas night my Grannie would say sadly, “It’s as far away as ever!” My family loved Christmas, and still do, and that phrase has become a family tradition. 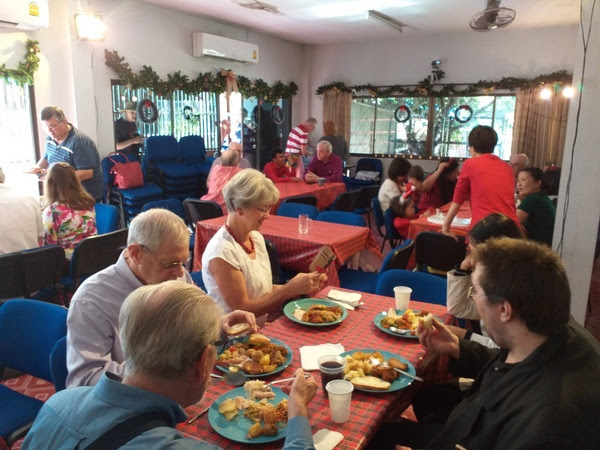 Well, the Christmas season is not over yet, but we have had Christmas Eve and Christmas Day, and what wonderful days they were at All Saints this year! 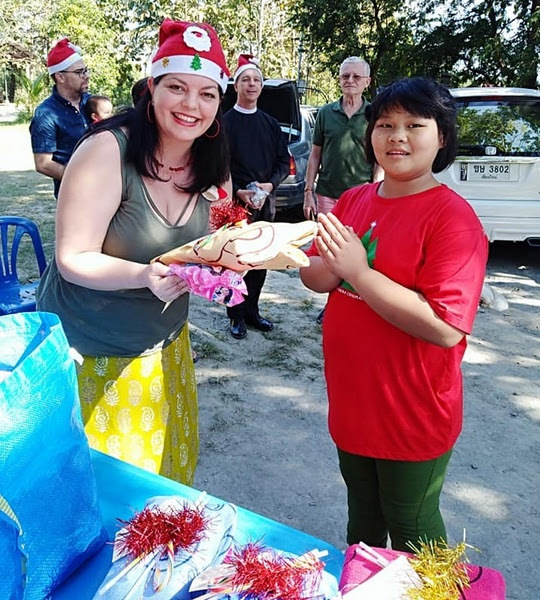 Christmas Eve began with ten of us driving up to the Youth Charity Foundation orphanage in Doi Saket, to deliver Christmas presents and hand over the money raised at our Festival of Carols. Thanks to all who contributed towards the gifts for the children, and special thanks to the Chase family who bought and individually wrapped more than forty presents! The Children after they had received their gifts! …and one of the older ones! 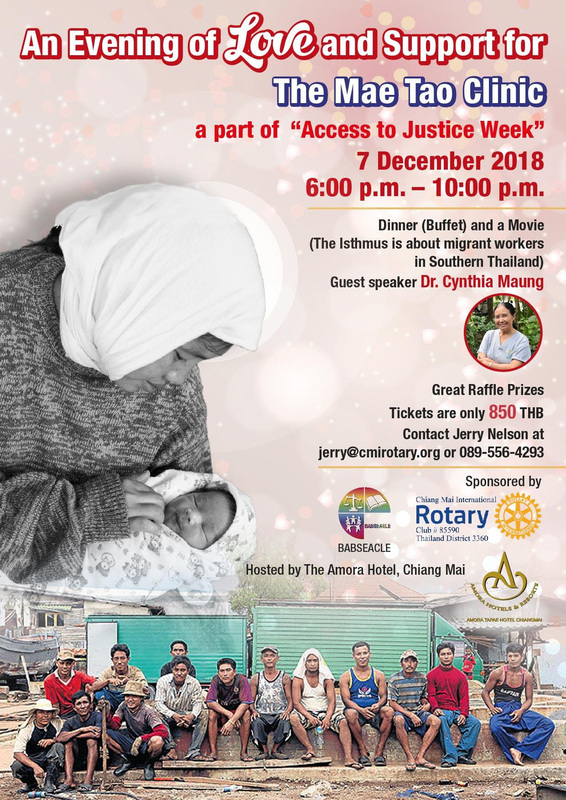 A moving new video, in Thai with English subtitles, about the work of the Youth Charity Foundation can be viewed here. Then later that night, we gathered at All Saints for Midnight Mass. The church looked stunning as we welcomed the Christ-Child and celebrated the first mass of Christmas! 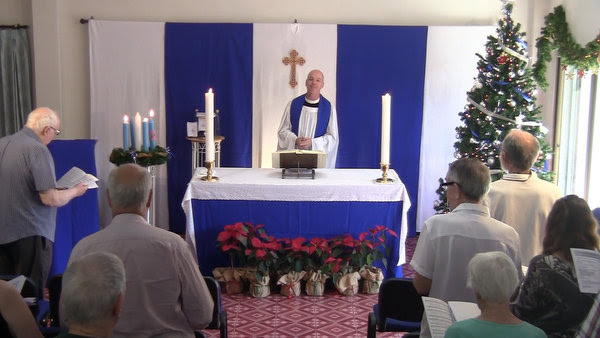 Then, less than twelve hours later, we were back at the church for our Christmas Day service. 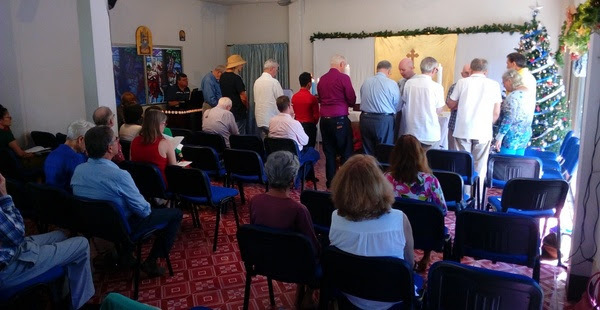 This was attended by over fifty people, and at all three of our Christmas services the music was led magnificently by Robert Rose on our organ. He and his wife, Jean, were visiting from Doha! Many, many, thanks to them. I shall try to upload the video of the services as soon as possible! 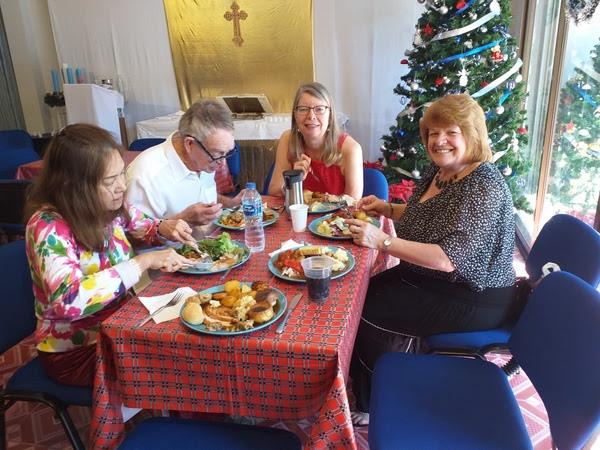 Then, following the service, forty of us sat down to a magnificent Christmas lunch – it was the best yet – turkey and all the trimmings, including roast potatoes and Yorkshire puddings, followed by Christmas pudding, apple pie, and ginger cookies! Thanks to all who worked so hard to make this a success: to Emily, Ken, Pamela, Pat, Julia, Nate, Elena, David, Helga, and so many more! All ready for Christmas Lunch! Mashed and roasted potatoes and Yorkshire Puddings! The Christmas season continues, and our readings this Christmas Sunday, the Fourth Sunday in Advent, will be 1 Samuel 2:18-20, 26, Colossians 3:12-17, and Luke 2:41-52, and we will be singing the carols O Come All Ye Faithful, Angels We have Heard on High, Cradled in a Manger Meanly, O Little Town of Bethlehem, Silent Night, Good Christian Friends Rejoice, and Joy to the World! Past services, including highlights of our Festival of Carols, and sermons can be viewed via the All Saints audio-visual page! Everyone is warmly invited to the Vicarage for New Year’s Eve. Festivities begin at 7 p.m. Bring food and drink to share and stay for as long or as short a time as you like! Call 0 904 604 304 for directions! Christmas is now truly upon us! Perhaps it is difficult to feel Chrismassy when the sun is still shining and there’s no sign of snow, but the season is here when we welcome Christ into the world and into our lives once more! 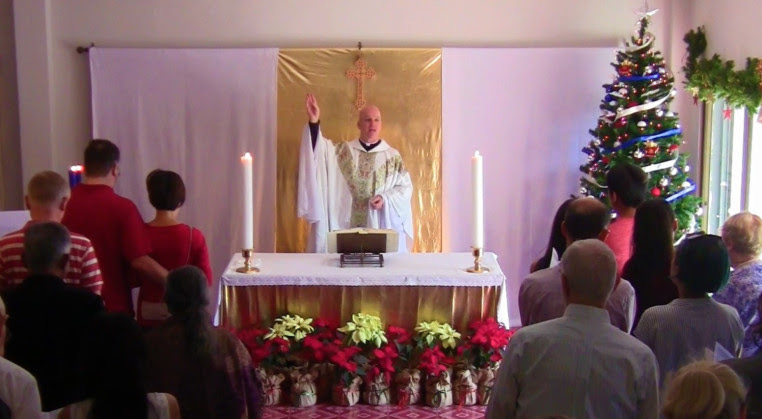 Please join us this Sunday at 11 a.m., then on Christmas Eve for Midnight Mass at 11:30 p.m., then again on Christmas Day at 11 a.m.
Our Christmas Day service will again be followed by a sit-down Christmas lunch. It is still possible to sign-up if you would like to join us. The best way would be by email to Emily Chase on emilylschase@gmail.com. The meal is free but people will need to sign-up so we can calculate numbers, and people will be allocated things to bring! Please sign-up this week as Christmas Day is almost upon us! Donations towards the cost of the turkeys would also be welcome. (They were $100 each! )We are family, and nobody should be alone at Christmas! Our readings this Christmas Sunday, the Fourth Sunday in Advent, will be Micah 5:2-5, Romans 16:25-27, and Luke 2:1-20, and we will be singing the carols O Come, All Ye Faithful; O Little Town of Bethlehem; and Hark! 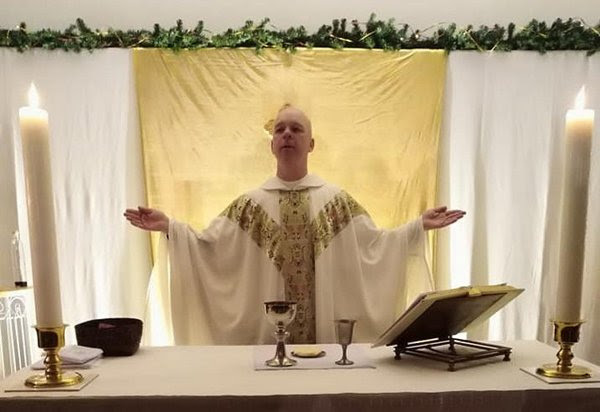 The Herald Angels Sing! Past services and sermons can be viewed via the All Saints audio-visual page! 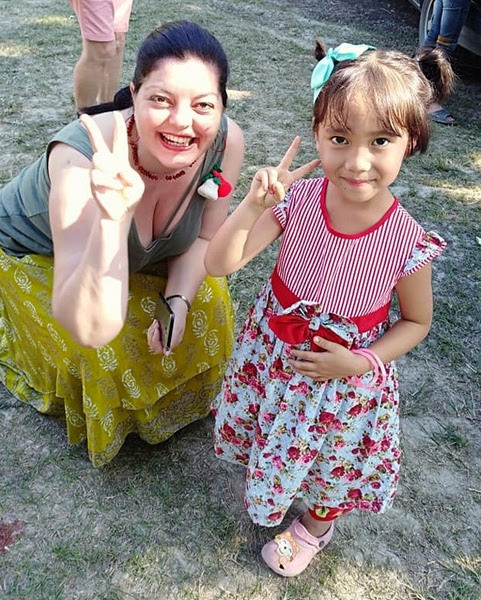 This was a wonderful event with over two hundred people in attendance and over THB 30,000 raised for the Youth Charity Foundation orphanage! The Youth Charity Foundation Choir! Photos courtesy of Steve Yarnold! 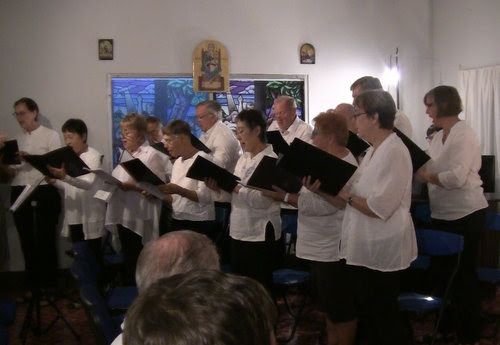 Thanks to all the many people who worked so hard to make this a success, to so many people from All Saints, to Lannacapella for singing, to Remi for playing the organ, and to Chiang Mai Christian School for allowing us to use the historic 1868 First Church. 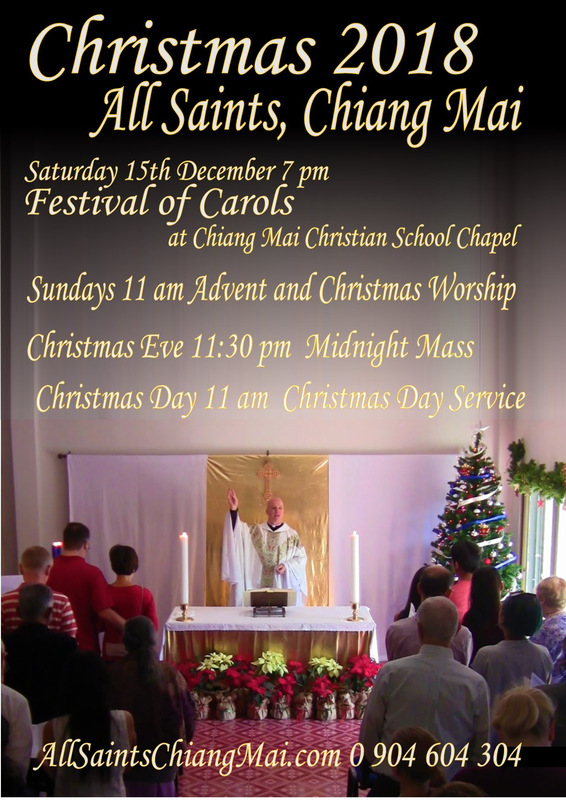 Highlights of the Festival of Carols can be seen here! Thanks to Steve Harrow. 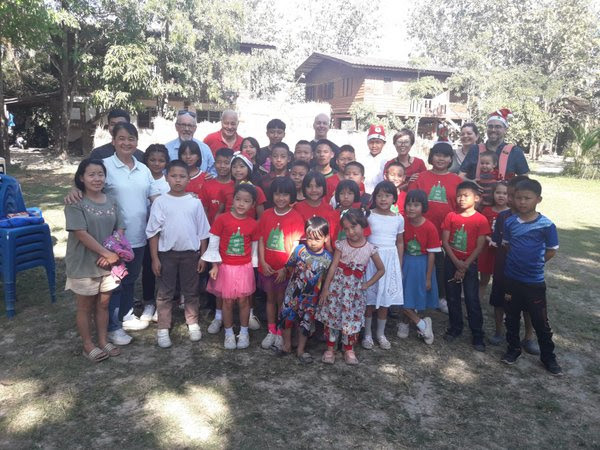 Last Sunday we also had another collection for the forty-four children of the Youth Charity Foundation to buy each one of them a Christmas present. We shall be taking them their gifts on either Christmas Eve or Boxing Day! 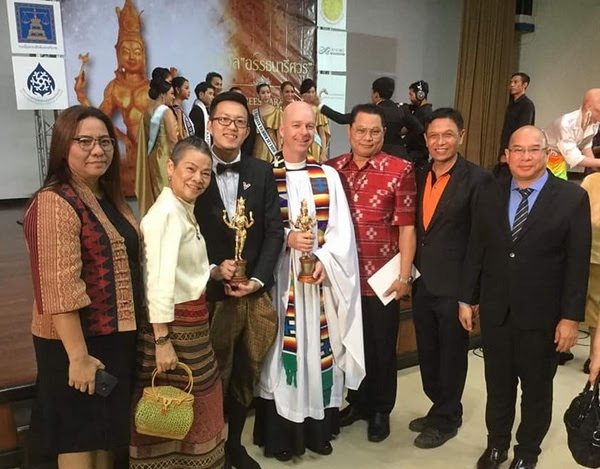 On Wednesday 12th December I travelled down to Bangkok to receive the Ardahanreeswara Award for Strengthening and Empowering LGBTI Community. This was given for the work of All Saints in welcoming gay and trans people, and shows that our work is nationally recognised in this area. The report on the event (in Thai) on Thai PBS can be seen here, and my speech (in English) can be seen here! 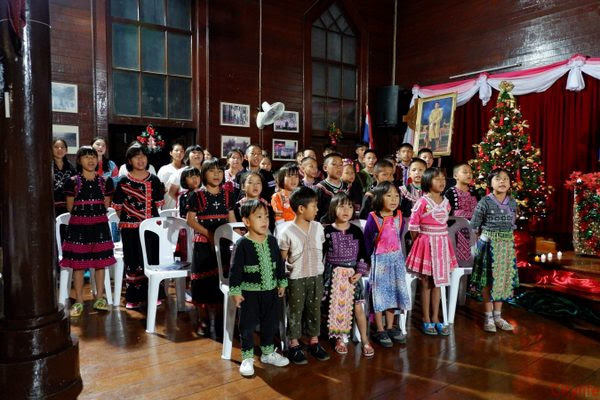 Christmas is upon us, and we will begin our celebration of the Christmas Season at 7 p.m. this Saturday as we gather in the chapel of Chiang Mai Christian School. The Festival of Carols should be a wonderful event – please invite your friends but make sure they get there early for a seat! If you are able to help with the set-up, please meet at All Saints at 10 a.m. this Saturday to help with transportation and the decoration of the chapel at the school! We need to move the organ, the sound system, lights, chairs, an altar, and many smaller decorations, etc. We have a small truck coming to help move the larger items, but many hands will help make things easier! Later, please be at the chapel by 6 p.m. if you can, to help with ushering, etc! After the service, we will then need help with refreshments and then taking down decorations and moving everything back to All Saints! 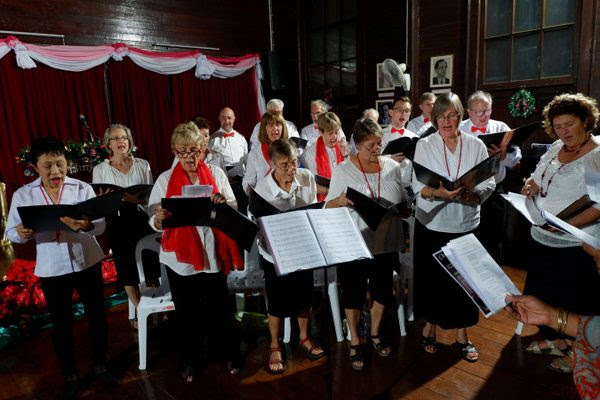 Our singing will be led by the Lannacapella Choir! 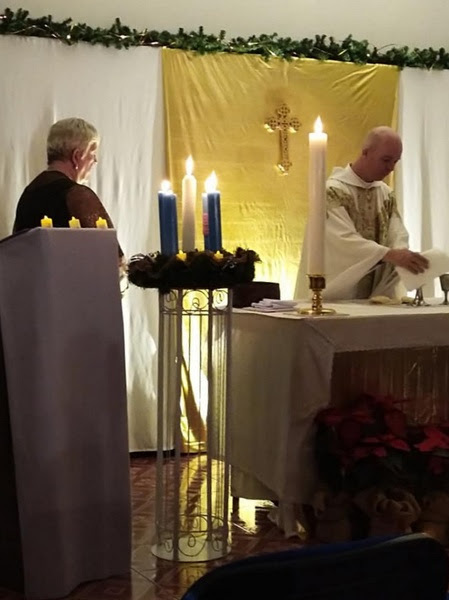 After an exciting, and probably exhausting, Saturday night, we will then gather once again at 11 a.m. Sunday morning to mark the Third Sunday of Advent. Our readings this Sunday will be Zephaniah 3:14-20, Philippians 4:4-7, and Matthew 1:18-25, and we will be singing the carols Come, Thou Long-Expected Jesus; Of the Father’s Love Begotten; and O Come, O Come, Emmanuel! 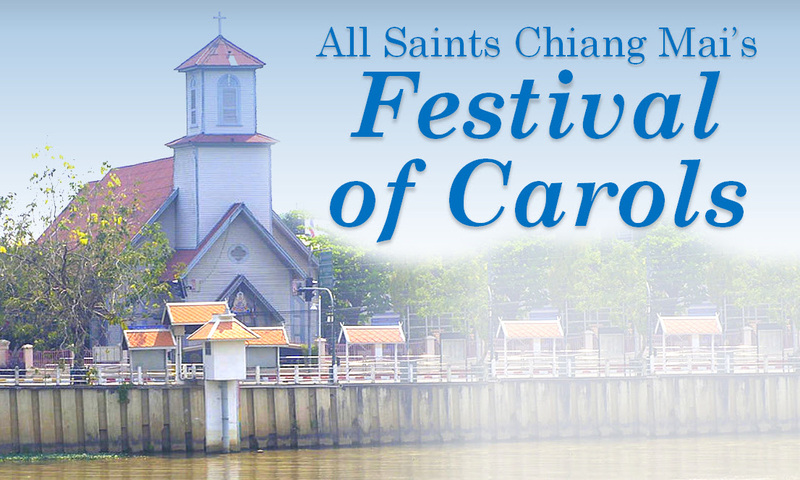 Past services and sermons can be viewed via the All Saints audio-visual page! Last Tuesday night the All Saints Trustees met to consider the way forward for All Saints. There were a number of items on the agenda, but he most significant and exciting was the proposal to move to a bigger and better facility! 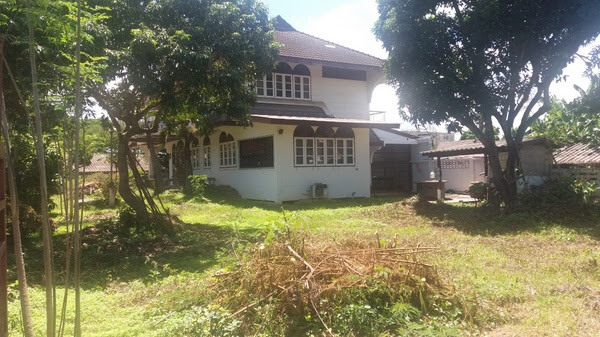 We have been offered a house and land with a ten-year extendable lease and a nominal rent. 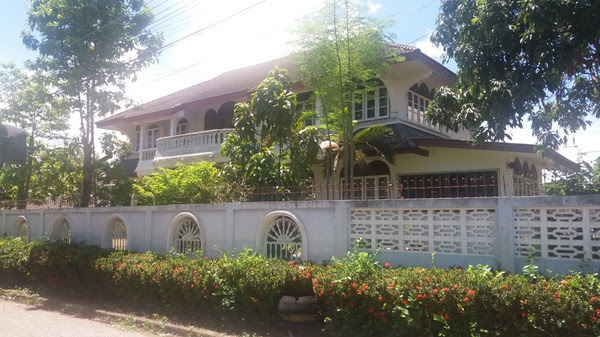 It is a great location in Pa Tan, and within the Superhighway. The house will provide place for potlucks, church office, children’s work, and possibly somewhere for me to live! The land is big enough for us to construct a purpose-built sanctuary! The Trustees voted unanimously in favour of approving the proposal to develop the site, and I will now be finding accurate costings and producing a proposed timeline, as well as agreeing the terms of the actually rental contract. This is an amazing opportunity and will enable All Saints to continue to grow and expand our ministry to all! At this time of Advent, as we wait expectantly for the coming of Christ at Christmas, we can give thanks and look forward to all God’s wonderful provision. Hopefully, firm details will be available by the end of January! Who knows, we may be able to host next year’s Festival of Carols in our own building! Meanwhile, this year’s Festival of Carols is nearly upon us, and details of how you can help are below. This week we will gather together to celebrate the Second Sunday of Advent as we look at the Angel appearing to Mary. Our readings this Sunday will be Isaiah 40:1-11; Philippians 1:3-5, 9-11; and Luke 1:26-38; and we will be singing the carols O Come, O come Emmanuel; Song of Mary; and The Angel Gabriel from Heaven Came! Past services and sermons can be viewed via the All Saints audio-visual page! 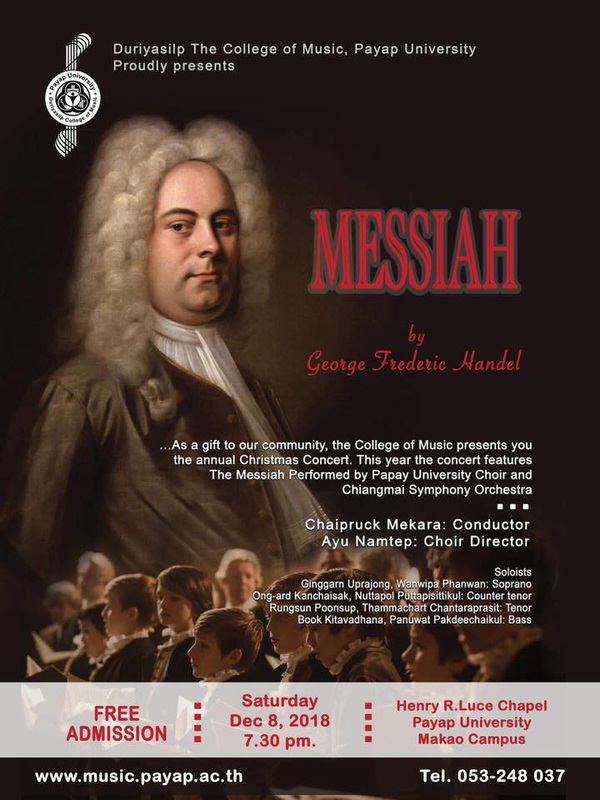 Festival of Carols – One Week to Go! 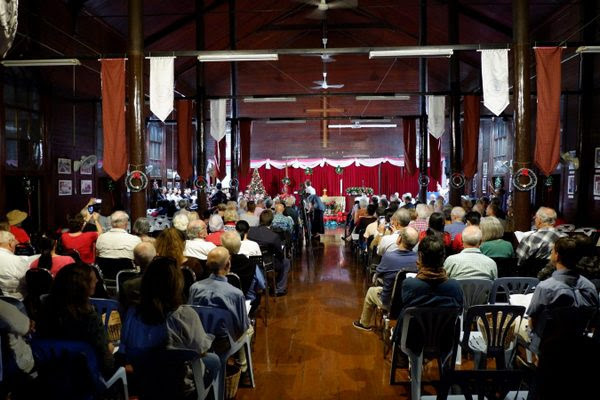 Our Festival of Carols is only just over a week away! It is going to be a wonderful night, and hopefully one which will raise a lot of money for the Youth Charity Foundation orphanage! 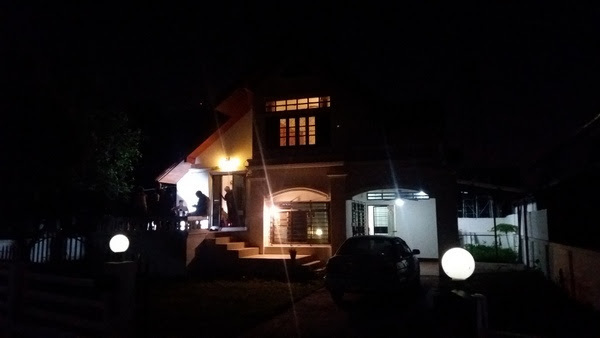 If you would like to offer practical help, we will gather at All Saints at 10 a.m. on the morning of Saturday 15th, to pack things up and transfer them to Chiang Mai Christian School Chapel. 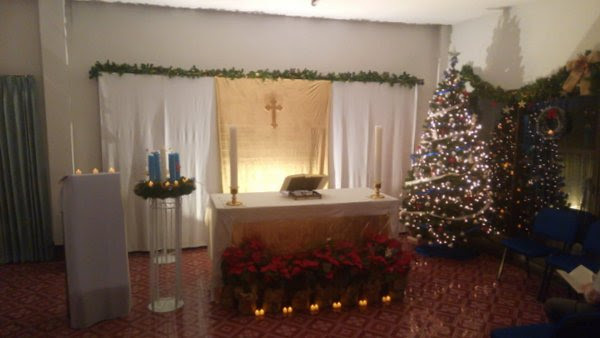 We need to move the organ, the sound system, lights, chairs, an altar, and many smaller decorations, etc. We have a small truck coming to help move the larger items, but many hands will help make things easier! 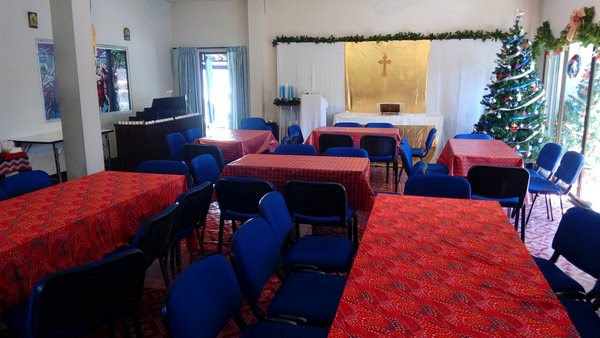 Help will then be needed in setting everything up and decorating the chapel, as well as assistance after the service in taking everything down, and transporting it back to All Saints! Just come along if you can help! There will also be a short meeting after church this Sunday about providing refreshments after the Festival and arrangements for Christmas Day! Posters and free tickets are now available at the church. We will need lots of people to take these this week for placing in shops, businesses, and schools! Please take some to share! 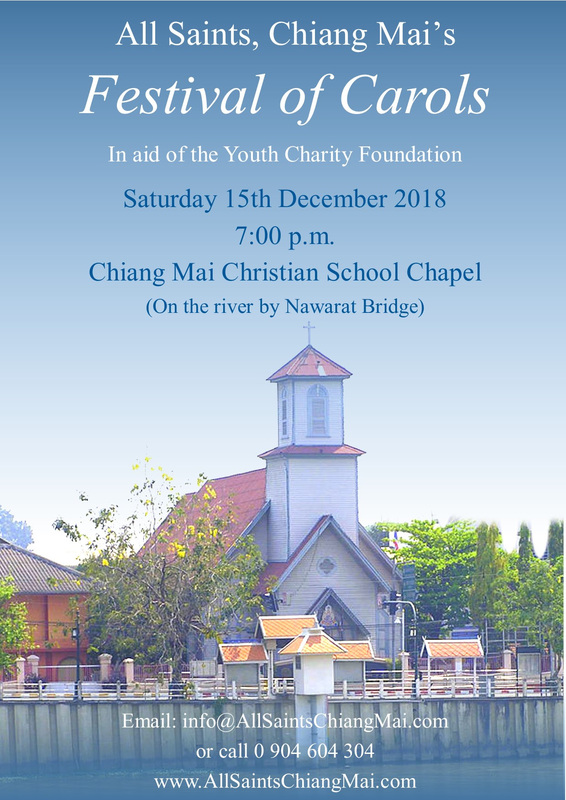 Jerry Nelson from Chiang Mai Rotary asked me to share their event which is tomorrow night in aid of the Mae Tao Clinic, and Chris Tananone is part of the choir for the performance of The Messiah at Payap University on Saturday. We will be giving out tickets for our Festival of Carols before the performance, so if anyone is going and would like to help, please let me know! 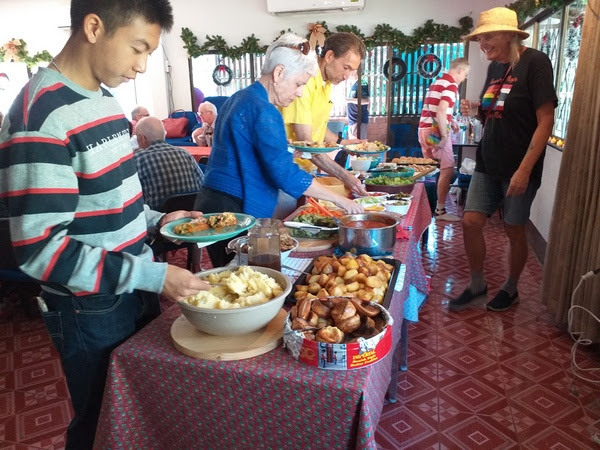 Many Christmas events coming up! These will again include a sit-down Christmas lunch – the turkeys are already sitting in the freezer! The meal is free but people will need to sign-up so we can calculate numbers, and people will be allocated things to bring! Please sign-up now!